Airport Rental Cars: New Zealanders flying to Brisbane Airport. New Zealanders flying to Brisbane Airport. More and more New Zealanders are heading over to Australia each day . It's a growing place to move to as well as holiday in. Brisbane and the surrounding coast gets warmer than New Zealand in summer and winter so why wouldn't you take a break in the warmer weather for a while. Fly into Brisbane and stay in the city where you can explore the city and surrounding sights by car. Drive to Australia Zoo or the much loved theme parks. 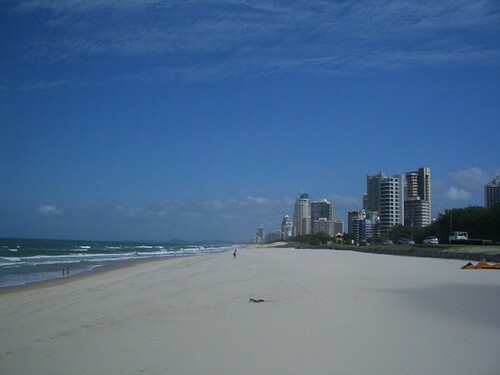 Or, fly into Brisbane and drive up to the very popular Sunshine Coast or down to the Gold Coast. The beautiful and tropical Sunshine coast is a lovely place to stay a while. Stay in Noosa, Maroochydore or anywhere up the coast. Each town is not far from each other so you can explore the coast and swim in the beautiful beaches. If you drive down the coast towards the Gold Coast, Coolangatta, Tweeds Heads, Byron Bay and many more will give you a great holiday. And again. they are close enough together to drive to each day if you want a change in scenery. Brisbane Airport receives over 40 flights a day from New Zealand. If you're a kiwi and flying into Brisbane, you're all set.